Are you looking for a unique way of advertising your business and getting it exposed in public? 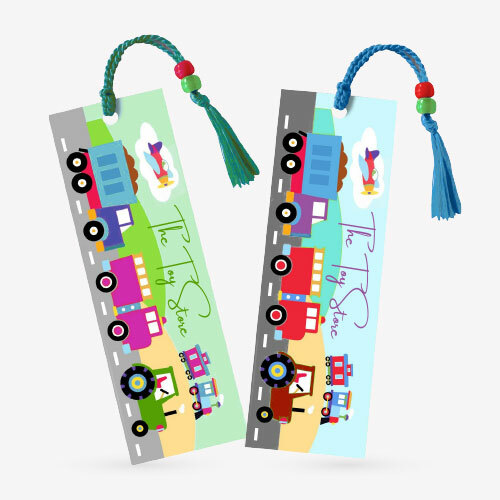 Try our bookmarks. They are the most unique method of advertisement unlike traditional means. 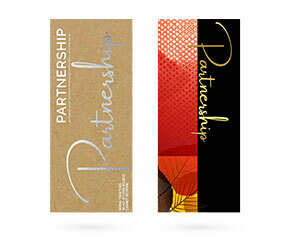 3 x 7 bookmarks printing not only provide your business with a great lift but also keep your customers remembering you. Bookmarks being very helpful tools accompany and guide the book readers from start of their reading journey through to the last page. 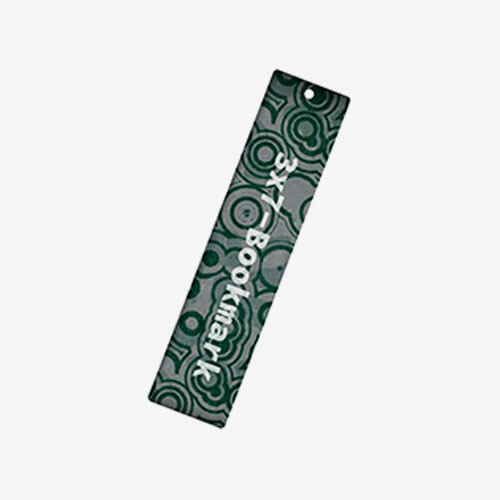 Being the companions of your customers in their journey of book reading, your bookmarks tell them stories about the products and services your business is offering. They can play a key role in business promotion and help you advertise in the long term. Bookmarks being extremely useful tools are highly adopted by everybody unlike traditional advertisements that end up in baskets. 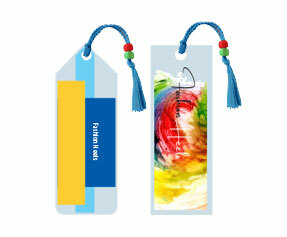 Your custom printed promotional bookmarks can also be distributed at public libraries for readers to make use of. We offer the printing of all kinds of 3 x 7 bookmarks in all regular and die cut shapes and solid or gradient colors according to your business requirements. 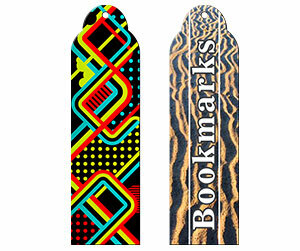 The bookmarks printed in die cut shapes are far more attractive and effective than the regular shaped bookmarks. We blend Cyan, Magenta, Yellow and Black (CMYK) colors for best quality printing results.  We offer them printed on 80lb card stock or 100lb card stock with glossy or matte laminate.